Sought after Briarwood Estates! A bright, 1590 sq. 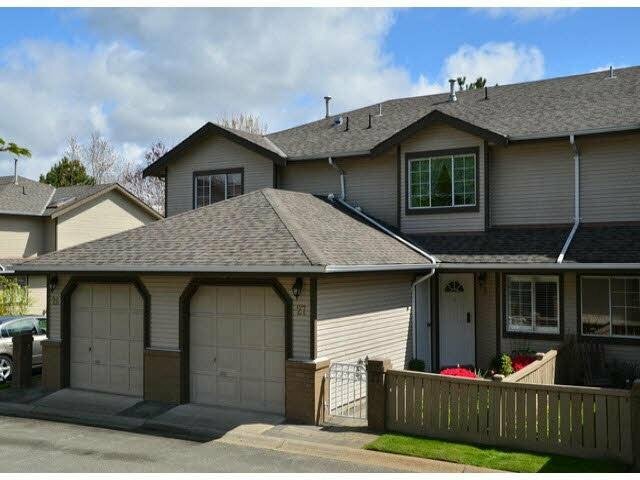 ft. 2 bedroom, 3 bathroom townhouse with a single garage and 2nd outside parking space. There is a spacious eating area off the kitchen and a formal dining room off of the living room. The living room has a gas f/p. Outside enjoy a peaceful coffee on the South East exposed patio surrounded by mature landscaping. There is also a South West exposed patio at the front of the house. The laundry room is on the main floor and has a newer front loading washer/dryer and plenty of storage. Upstairs is carpeted and has an extra-large master bedroom complete with soaker tub & separate shower. The 2nd bedroom has a walk-in closet and 4pc bath. The roof is approximately 10 yrs. old.